"Vitamin d3 is the best vitamin I've supplemented with. Sure, there are other vitamins, but if you do not have medical insurance d3 is the best solution to all-around prevention. " 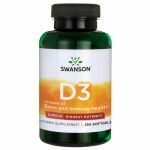 Swanson Premium high Potency Vitamin D-3 5,000 IU is our highest potency vitamin D supplement available. 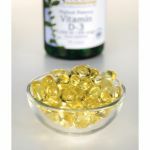 Most people need more vitamin D because the deficiency and insufficiency rates of this vital micronutrient are rising, and experts across the world are calling for changes to the recommended dosage and suggesting that a majority of us are not getting enough. Vitamin D is vital to healthy bones, strong immune system functions and mental/emotional wellness. Sunlight helps our bodies produce vitamin D, but our production capacity is limited especially in winter months when sun exposure is reduced and also because of unhealthy lifestyle and excess weight. The current recommended dose for vitamin D is between 200 IU and 600 IU for the average person based on age, weight and health status. But most experts now recommend that healthy individuals take in up to 1,000 IU on top of what they might get through diet and multivitamins. Those in Northern climates or with greater needs may need even more. 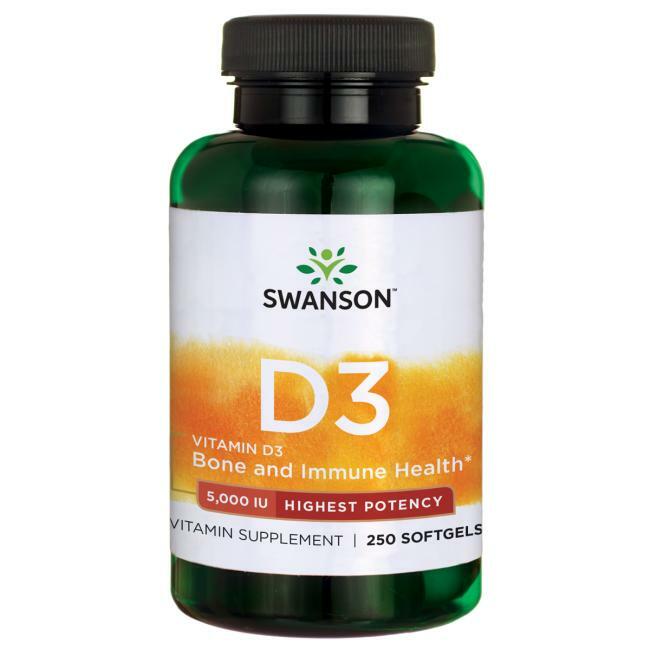 Our new 5,000 IU vitamin D-3 softgels answer the need for those who require higher intake. The true safe limit for supplementation is proven to be 10 000 IU per day and clinically-tested deficiency is best treated with a higher dosage. In addition to the main route of synthesis of vitamin D (sun exposure) one can increase his/her blood levels by eating certain animal foods like fish and eggs and fortified dairy products. Supplementation is an easy and effective way to increase blood levels since the amount of vitamin D in food is limited. 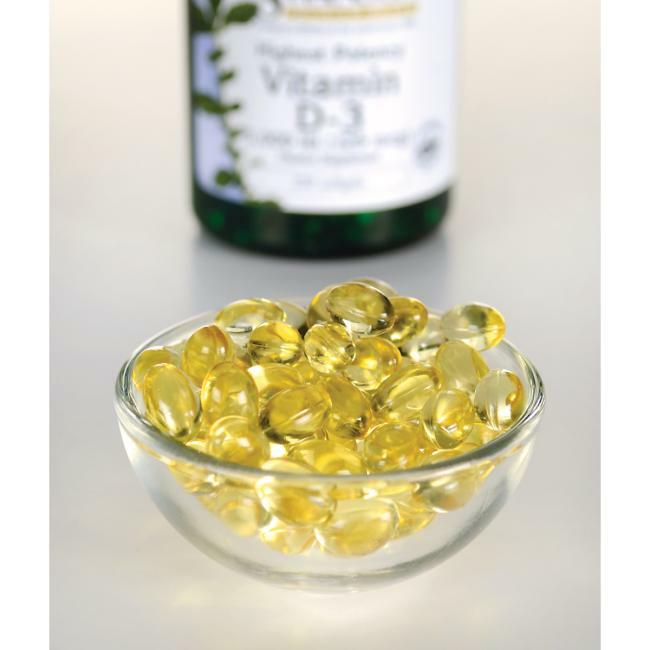 Specifically, supplementation of vitamin D is scientifically proved (by clinical human investigations and studies) to be very effective for reducing the risk of: falls and bone fractures in the elderly, cardiovascular disease and related cardiovascular complications, colorectal cancer, breast cancer, blood pressure, all-cause mortality, catching the flu, multiple sclerosis, arthralgia. Vitamin D may also help with reducing: fat mass in people trying to lose weight, the incidence of asthma attacks, symptoms of tuberculosis, the incidence of type 1 diabetes in the offspring of supplemented mothers. This vital nutrient is also effective for increasing the neural and muscular strength of the elderly and insulin secretion and insulin sensitivity in type 2 diabetics which leads to better glucose control. Vitamin D also increases testosterone levels in men which may help with maintaining healthy hormone levels during aging. The preferred form of supplementation is vitamin D3 (the animal form) compared to vitamin D2 (the plant form) because a lower dosage of vitamin D3 is required for increasing blood levels of vitamin D. It is also best taken with a meal containing at least 10 grams of fat as this increases its absorption significantly compared to low fat meals.